If you don’t have your fishing license in your pocket by April, a nice conservation officer will give you a piece of paper that will cost you more money than a license would. So, just click on the “DNR Direct Online License Sales” or “Online Licenses for Hunting and Fishing” link on the home page at dnr.state.il.us. Licenses are available for purchase 24 hours a day using a credit card, and anglers and hunters can print out their licenses. Also, don’t forget to get your salmon stamp for Lake Michigan or your inland trout stamp. 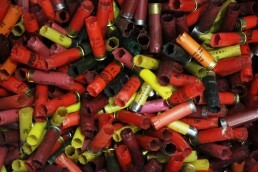 You can get one from participating DNR Direct license and permit vendors, including hundreds of sporting goods stores, bait and tackle shops, convenience stores and other retail locations. 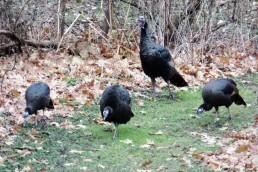 You could also call the DNR’s direct toll-free system at 888-6-PERMIT (888-673-7648). Trout season opened on inland lakes on April 1 in Illinois at 5 a.m. To legally take rainbow trout from any stocked waters, anglers must have a fishing license and inland trout stamp unless one is under 16 years of age, is blind or disabled or is an Illinois resident on leave from the armed forces. A daily limit of five trout per angler is enforced. Inland trout stamps are available for $6.50 each at DNR direct license and permit vendors. 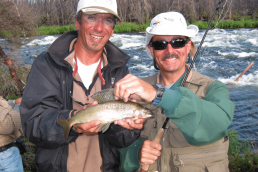 Anglers may not take trout from any of the stocked sites prior to the opening of the season. For more information about the trout stocking program and to see if your favorite lake is on the list check the website at ifishillinois.org or listen to Chauncey’s Great Outdoors radio show on ESPN Radio AM 1000 prior to fishing. It’s smelt season now on Lake Michigan in the Chicago Park District. 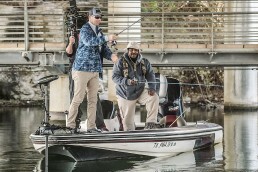 Opening day on April 1 is normally slower for fishing, but the camaraderie and early spring weather with warming water temperatures has come so more fish will move in. You can only fish for smelt from 7 p.m. until 1 a.m. through April 30. Open fires, alcoholic beverages and enclosed tents are prohibited. 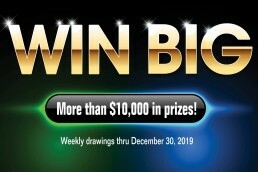 For additional Park District smelt rules, visit chicagoparkdistrict.com. While your smelting you may want to drop a line next to the wall and pick up a brown trout looking for a meal, but have your Lake Michigan trout stamp with you. I suggest you wrap it up by 12:30 a.m. or before and be out of the harbor parking lots before 1 a.m.
Water temperatures are still cold, but warmer than it has in the past. Look for cohos to be active closer in. Waukegan: On South Rocks, anglers are casting small spoons and working a slow retrieve to entice strikes. 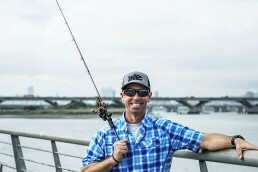 Other anglers are using a nightcrawler under a bobber set 2-3 feet down or are using powerlines set close to the surface with two bobbers to keep baits closer to the top. Cohos have been active along the Chicago Lakefront. At Montrose Harbor, powerliners are picking up cohos closer to the surface with nightcrawlers, while casters are using small spoons. Smelt anglers are setting one fishing pole with a minnow or a nightcrawler set just off the bottom in Burnham Harbor for brown trout. 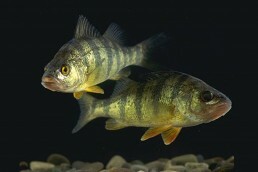 At Navy Pier, perch are being taken just off the bottom with minnows. Boaters at 92nd and Ewing in the Calumet River and near many other shoreline spots can find perch in a wide variety of sizes hitting minnows within a few inches of the bottom. Trollers working off 95th Street are getting cohos close to the surface in Indiana waters, weather permitting. 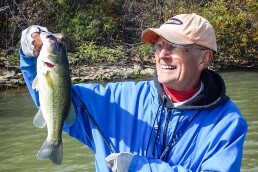 More and more smallmouth and largemouth anglers are working from Indiana north to Montrose Harbor and are finding large bass in and around the rock structure and weeds. But be ready for a salmon to hit your bait at anytime. Tampier: shore crappie and fair-sized walleyes will be taken about 15 to 25 feet from shore. Busse: Fishing is allowed, but the lake boat ramp is closed until they have pulled walleye nets for the restocking program in the morning. 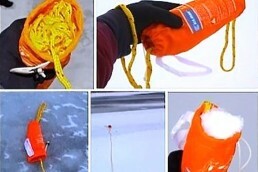 Please show respect for these nets and equipment in the water. Below the main dam by the warm-water discharge, bluegills and bass can be taken on twister tails and lead-head jigs. 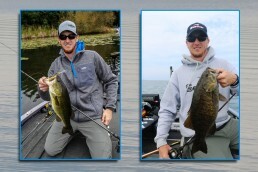 Maple: Bluegill bite has improved along the north shoreline with the sunny days and bass are very slow with the cooler water. Axehead, Belleau and Sag Quarry East are open for trout fishing. The trout season is now open at the Forest Preserve District of DuPage County. 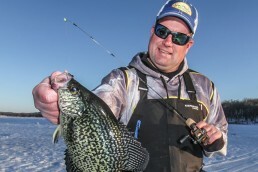 Crappies are still in the backwaters and coves that are protected from the wind and getting full sun. Small bluegills can be mixed in with some of the crappies closer to shore. Larger fish are holding in the same area, but just a little deeper. Try in 4 to 6 feet of water and work your way into the shallows. 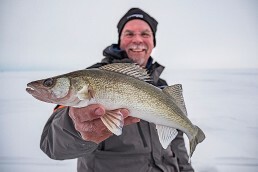 Walleyes can be more active on gravel points in current areas on Pistakee, Marie, Fox and Nippersink. Some anglers have fished at night near bridges and have taken larger walleyes. 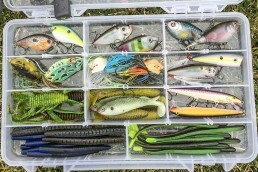 A jig and minnow or a blade bait has taken a few fish. Still work an ice-fishing jig tipped with a waxworm or a strip of bait to attract a strike. This river can be low or up depending on the rainfall. 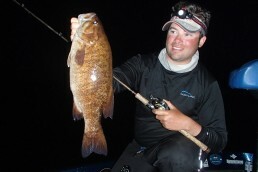 Smallmouths like hitting a jig and minnow, a spinner or a crankbait. Northern pike are normally at the mouth of William’s Ditch through Glorydale and below the Kankakee and Wilmington dams. Work the slack-water areas below them with a large minnow. Walleye anglers seem to be taking more fish now near the Momence and Aroma park areas, below the Kankakee Dam through Langham Island and the Wilmington Dam through Luther Island. Best baits are a jig and minnow, a Mr. Twister weighted keeper-hook and a double twister tail, Mepps spinner and a Rattlin’ Rogue. Catfish begin to turn on later in April throughout the river on cheese baits, chicken livers, frozen shrimp and live minnows worked near current breaks and the brush piles in the river. The St. Charles and Geneva dams both yielded a mixed variety of fish. Below McHenry Dam, walleyes will begin to become active on the minnows. Another spot not to be passed up now is at the warm-water discharge near Montgomery. Because of early ice-out, muskies and bass have been taken on spinnerbaits. Crappies start moving into the fish cribs in shallower water here. Minnows are your best choice on small wire hooks. Muskies and walleyes have finished the spawn and are in the no-motor area as well as near the dam. Largemouths are shallow and are interested in hitting spinnerbaits and nightcrawlers in 2 to 3 feet of water in areas getting the most sun. Are both now open with most anglers rounding out their catch with catfish, bluegills and bass. 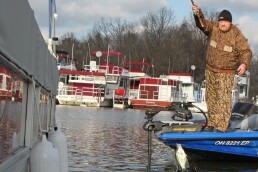 Sauger fishing pressure can be very high and many fish are ignoring baits from boaters. A jig and minnow works, but you need to make bottom contact and put the bait right in front of the fish’s nose. Crappies and white bass can be picked up by the rock piles near the Starved Rock Dam on minnows if the river is in good condition. Catfish will be improved for boat and shore anglers throughout April. The lake is still cold, but warmer weather will make smallmouths want to hold close to the rocks on the south side of the center dike. 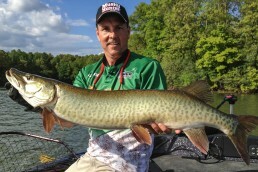 Muskie anglers are casting baits along the south shoreline going west. 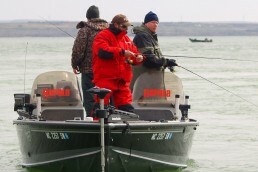 Some boaters have been seen trolling for muskies with small downriggers. 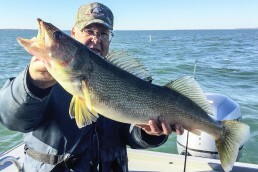 Walleyes are normally spotty, but should improve soon. Remember we don’t own the woods, the rain, the forest or the fish we catch. We are only borrowing them from our children’s children. Take care of the great outdoors. It’s the only one we have, and the only one they will have. 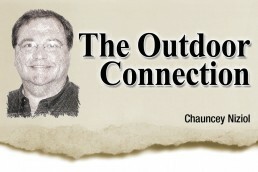 Chauncey Niziol has been part of the outdoor world since he was four. 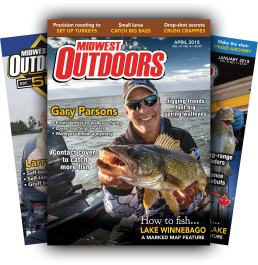 For the past 28 years, he has communicated his love of the outdoors through MidWest Outdoors magazine and television shows, appearances on other programs, and his own radio program on ESPN Radio AM 1000. 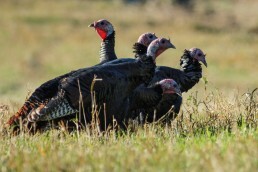 He is also a member of the Illinois Outdoor Hall of Fame.